Nepal is the land of Mountains and Jungle, according to the report of World Bank 25.4% of the land in Nepal is covered with jungles. Nepal contains many wildlife reserve, national parks and conservation areas which are mentioned as the home for wild animals. Nepal gives you an opportunity to encounter some rarest and endangered animals on earth. Nepal can be an exciting experience in your lifetime. There is no age and time limits to stay in these parks and take part in an organized jungle safari and activity programs. Living in the forest is a great way to relax yourself. You can enjoy the jeep safari, bush walking, bird watching, one horned rhino, royal Bengal tiger canoeing, recreation activities and cultural programs, depending on which park you choose to go to. You can choose any means of transportation for entering the forest in Nepal. They can be by foot, elephant ride or by jeep. The jungle safari if filled with the fun and extra enjoyment into your life. You can also choose the range of accommodations from basic tent to the hotels and resorts. You can choose any package as you wish and all the programs are included in the package. The main jungle safari in Nepal are on the southern part. 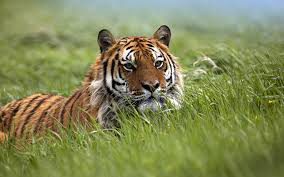 There are three main place for jungle safari in Nepal they are Chitwan, Koshi and Bardiya. All these three areas are unique among themselves. The Chitwan provides he view of rare one horned rhino, the Koshi provides the view of birds and it is famous in world for bird watching and the Bardiya is famous for the view of Bengal Tiger.